With the start of the school year coming up Microsoft hopes there's still time to convince students and teachers to pick-up a Windows RT-powered Surface. On Sunday, the Microsoft Store cut prices on all three Surface 2 models in the U.S. by $100. The price slashes are not permanent, lasting until Saturday, September 27. Microsoft is limiting the sale to a maximum five devices per customer. The new $100 price drop could help Microsoft push a few more RT devices off the shelves. In August 2013, several drastic price cuts helped Microsoft put more Surface RT devices in peoples' hands—although the sale prices this time around aren't as long or as severe as last year's. It's also important to point out, as always, that the RT version of Windows 8.1 is the modern UI-focused, desktop-hobbled version of Windows. The traditional desktop on Surface 2 is basically there to run Internet Explorer and Microsoft Office. It cannot run legacy Windows programs, which means the Windows Store is your only source for new apps. It's Metro apps or nada. Microsoft's Surface 2 price cut comes at an interesting time. It appears this is a typical sale coinciding with the back-to-school season. 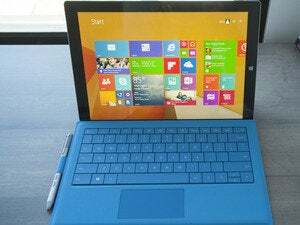 The company also offered a $100 price drop on Surface Pro devices in early August 2013. But there are also rumors about an upcoming Microsoft press event on or around September 30 ostensibly to introduce a public preview of Windows 9. But in late July there were also rumors about a new Surface device introduction set for October—possibly an RT-based Surface 3. Those Surface 3 rumors, however, were based on the mostly unreliable Digitimes, which gets its information from Taiwan-based component makers. 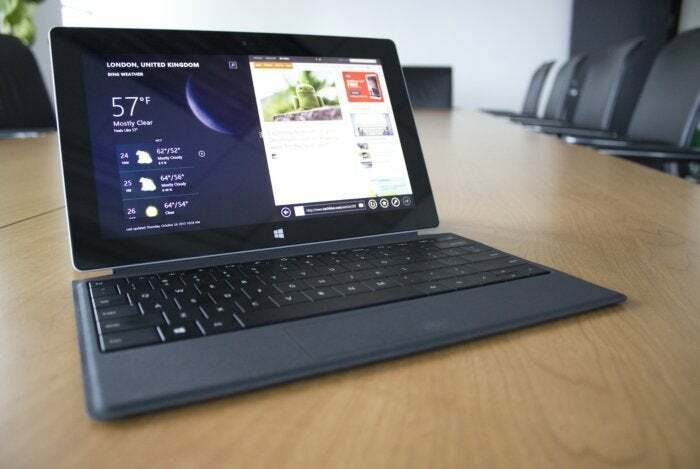 Nevertheless, maybe—just maybe—this Surface 2 sale isn't just about back-to-school sales, but also clearing stock before a new device comes rolling in. It's a long shot, but you never know.